This handmade round-braid drawstring pouch is perfect for carrying your crystals, herbs or other special items you want to keep close. 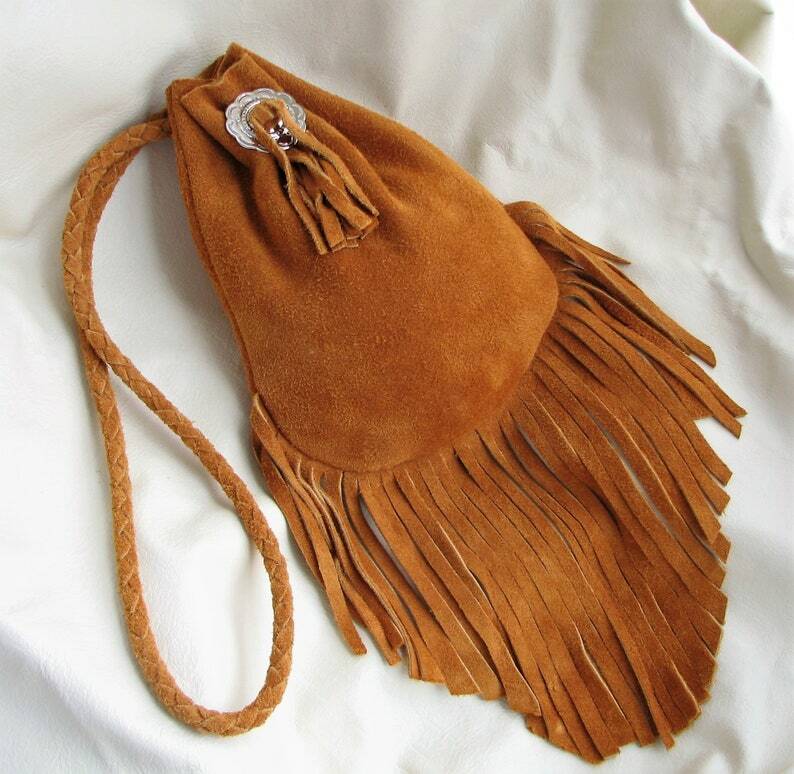 Made of supple golden-brown Moose Hide suede split (suede on both sides), this handsome pouch is large enough to serve as a small purse. It measures about 8.5" x 7" (21.6cm x 18cm) when open with 6+" of hand-cut fringe. The attractive and durable round-braid strap is about 30" overall (76cm), sized for carrying in-hand or for hanging on a belt or sash. It's embellished with a 1.5" (3.8cm) nickel concho. The last picture in the listing shows the pouch, empty & laid flat, with an iPhone alongside it for size reference. Made in a good way, this pouch would make a wonderful medicine bag or pouch for your crystals and other meaningful items. *** Free Shipping within the US! ***.